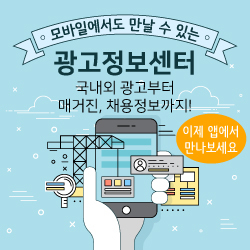 광고정보센터 논문 :: 누가 2위 포털인 다음 뉴스를 이용하는가? 누가 2위 포털인 다음 뉴스를 이용하는가? 이 연구는 2위 포털 뉴스를 주로 이용하는 사람들의 사회경제적 · 이념적 특성과 이들이 인식하는 포털 뉴스의 특성을 알아보기 위해, 포털 뉴스 이용자를 대상으로 온라인 설문조사를 실시하여, 1999명의 응답결과를 분석했다. 분석 결과, 2위 포털인 다음 뉴스를 주로 이용하는 사람들이 네이버 주이용자와 다른 특성을 갖고 있음을 확인할수 있었다. 네이버 뉴스 이용자 보다 다음 뉴스 이용자는 여성보다는 남성이 많았고, 연령이 더 높았으며 진보적 성향을 가진 사람들이 더 많았다. 또 네이버 이용자보다 다음 뉴스 이용자들이 자신이 주로 이용하는 포털 뉴스가 외부로부터 영향을 덜 받는 독립적 편집을 하고 있다는 인식을 더 많이 갖고 있었다. 이와 함께 네이버 뉴스 이용자보다 다음 뉴스 이용자들은 자신이 주로 이용하는 포털 뉴스가 언론사의 특성에 영향 받지 않는 중립적인 편집을 하고 있다는 인식을 더 많이 갖고 있었다. This study analyzed the results of an online survey of news portal users (N=1,999). Compared to Naver News, Daum News had more male than female users. In addition, the analysis of the results shows that Daum news users were more progressive than Naver News users. And Daum users’ perception of the independence of Daum news was more positive than Naver users’ perception of Naver news independence. Finally, Daum user`s awareness of the neutrality of Daum News`s choice of the news source was more positive than Naver user`s perception of the neutrality of Naver News"s choice of the source.